I’ve always had vivid memories of my childhood and grew up assuming that everyone else clearly remembered theirs too. Surprisingly, many don’t. So why do I? I eventually put it down to the fact that much of my early life was captured in moving images on film. Before I was born, my father bought a cine camera to film my sister’s early years. When I came along, he filmed me too. Wherever we went as a family, my father’s camera was like an extension of his right arm. My mother, my sister and I became naturals in front of the camera. Annual holidays, visits to the beach, birthday parties and school sporting events all became prey to the moving lens. “Uh-oh, he’s filming again. Act natural,” one of us would say, and then we’d all pretend not to have noticed, but carry on exactly as before. We’d have been famous if reality TV had existed back then, but it didn’t. In those days, each film was four minutes long and there was no recorded sound. The spool had to be posted to Johannesburg and processed by Kodak laboratories, which then posted it back – all of which took several weeks. 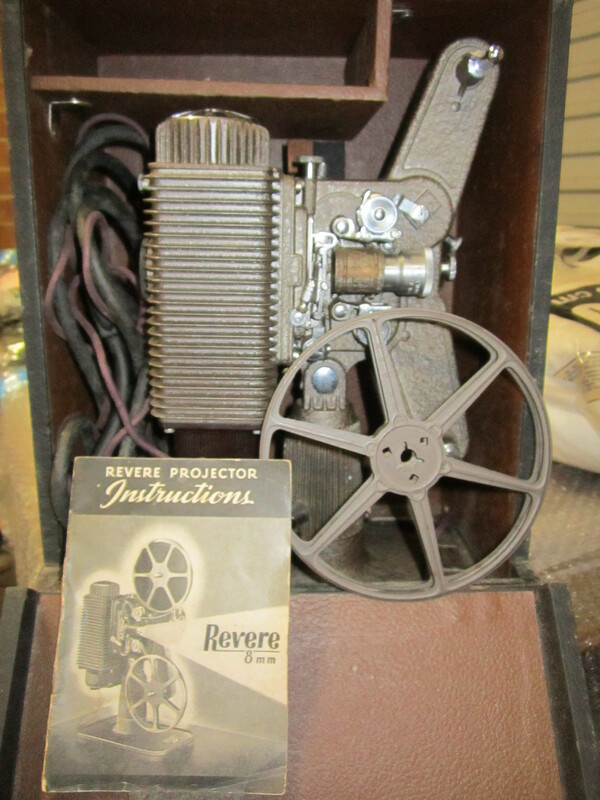 When a film arrived in the post, my father would set up the projector and screen after supper and show us the film in our darkened lounge, so we could all re-live the memory of that event, holiday, birthday or visit to someone’s farm. It wasn’t until I started school that I was taught the importance of repetition in helping to remember things. We learned things by rote: the alphabet, times tables, poetry lines, words of songs, and so on – pretty much the same way in which we had learned our favourite nursery rhymes in the years before starting school. Seeing snippets of my life from two or three weeks before projected on a big screen the size of our dining table was a powerful memory aid because it was visual. The nursery rhymes in my childhood books likewise had pictures to help me recall the words, but these pictures were moving. The memories captured on screen were inevitably happy ones, which made the experience of re-living them all the more pleasurable. If our dad filmed that wonderful moment when we opened a gift, or ran to a puppy that rolled over and presented its tummy to be scratched, then we got to re-live it each time we saw it on film. There was no television in those days, so a form of entertainment for visitors and relatives was to show them the latest films and then we got to re-live it yet again. Our dad’s imagination and capacity for storytelling was vast, so it was inevitable that he would expand his filming hobby into that direction. When I was ten years old he joined a film club and soon acquired a reputation for being a good film maker. He won four awards in his first year for a documentary he made about our trip to Johannesburg in 1972. Not long after that, he began using his movie talents to create funny fiction stories. Our family belonged to a local amateur theatrical group, so actors were never in short supply. Was I was mistaken in thinking that I had an exceptional memory of my childhood? Did I remember things only because of the films? No, it seems not. Before my sister left for Australia, we re-screened some of our dad’s films and tried to catalogue the early family ones into some kind of date order. Each four minute segment that we screened gave rise to new memories as well, and I realised that my memories of past events were still my own, just as my sister had her own different memories of the same events. Those memories may have been triggered and enhanced by the four minute glimpses that my father captured on film, but we still retained our individual impressions of those times. In the last few months, during the time I have spent with my sister, we often talk about incidents from our childhood and inevitably we remember different aspects of the same occasion. Unlike me, my sister is more of an extrovert, so she was inspired by different things, but she has the same vivid recall for the happy memories of childhood that I do. A lot has been written on the Internet lately about how future generations will suffer because too much of their lives are centred on their mobile phones and social media, but I think there’s a silver lining. Modern phone devices have built in video cameras, so memories are being captured for posterity every day, and that can’t be a bad thing. Just like they teach you in school, a little repetition is never wasted, especially if it brings back something worth remembering. This entry was posted in Susan Roberts and tagged cine camera, memories. This is delightful Susan. Anny chance of doing an edit and disk transfer-unless you’ve still got the projector and screen! Did you ever see the film Cinema Paradiso? Thanks, Jac. It’s a long slow process, and it’s been interrupted for about 4 years now, but we eventually hope to get it all on disk. Yes, I first saw Cinema Paradiso years ago and I have it on DVD as well. Just beautiful!